John Lee Dumas knows a lot about success. 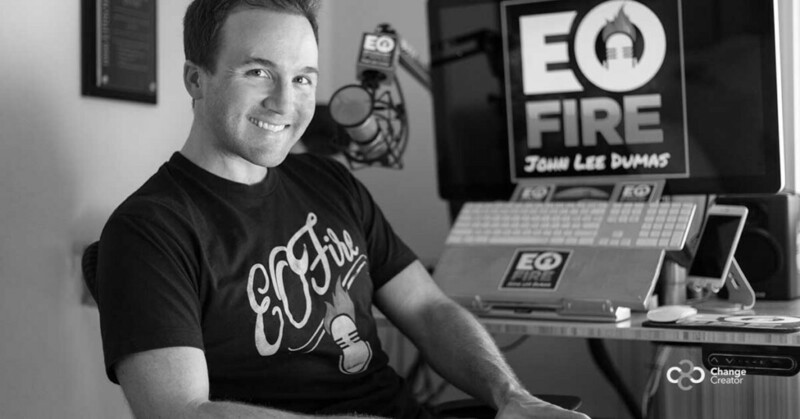 With a clean break from his 9-5 job in real estate investments, he started his own 7-days-per-week entrepreneurial podcast, EOFire, and hasn’t looked back. He now owns a million-dollar business that continues to grow. And, of course, there’s still the podcasts. Getting to interview some of the world’s top entrepreneurs, like Tim Ferris, Barbara Corcoran, Gary Vaynerchuk, Tony Robbins, just to name a few, gives a guy some perspective. So we decided to sit down with John Lee Dumas, pick his brain and get some keys to entrepreneurial success. “Try not to become a man of success, but a man of value. Albert Einstein”. For John, working in a job he wasn’t passionate about just wasn’t good enough. Day after day he got up, drove to work, and began the drudgery that was his career. He was making good money, but what value did he bring into the world? His passion for podcasting came from listening to podcasts on his long commute back and forth to work. 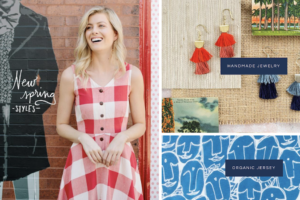 With an idea and passion, he decided to jump in and get his business going. Today his company brings real value to the world. It’s not unusual for him to spend entire days, from sunrise to sunset in the office now, doing that thing he loves. What value are you bringing the world today? Don’t just focus on the success part. That will come when you bring true value into the world. Don’t be afraid to make a bad decision. John learned the importance of good decision (we didn’t say perfect) making during his 8-year stint in the military. At the tender age of 22, he had a lot of responsibility thrust upon him – instead of waiting to be better prepared or worrying about the fact that he had little military experience, or had never led anyone, John did something revolutionary. He made choices. Then he confidently followed through on those choices. In war and in business, A good decision now is better than a great decision later. Business is competitive. We don’t have time to wait for better circumstances. Don’t be afraid to make a “good decision” now – just follow-through with confidence. Do make one great decision. Hire the right mentor. 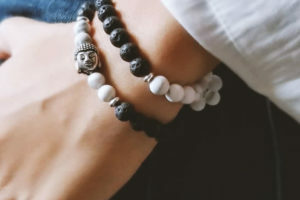 This gave John the advantage right from the start, from branding to logo designs, to networking connections, to setting business goals. His knowledge of the industry was invaluable. Know where you want to go first, then find and hire somebody to help get you there. Don’t just hang out with “successful” people. Find that person who most closely resembles the kind of success in career, business, or life whom you want to emulate. This excerpt was taken from issue 3 of Change Creator magazine. Subscribe now to read the full article and more.